In this example we will show you how to connect a 7 segment display to our Atmega128. You can think of a 7 segment display as 7 individual LEDs in a configuration like the picture below. 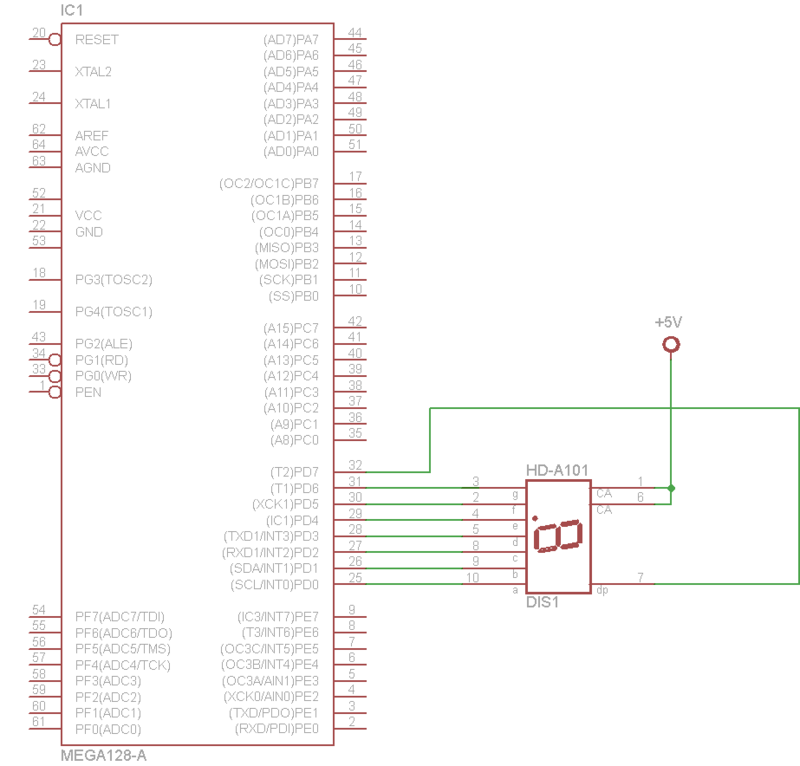 In this example we connect a HDSP-C3Y3 common anode display to our ATmega16, you can see the connections in the schematic below. We basically connect up segment A to PD0, segment B to PD1 and so on.